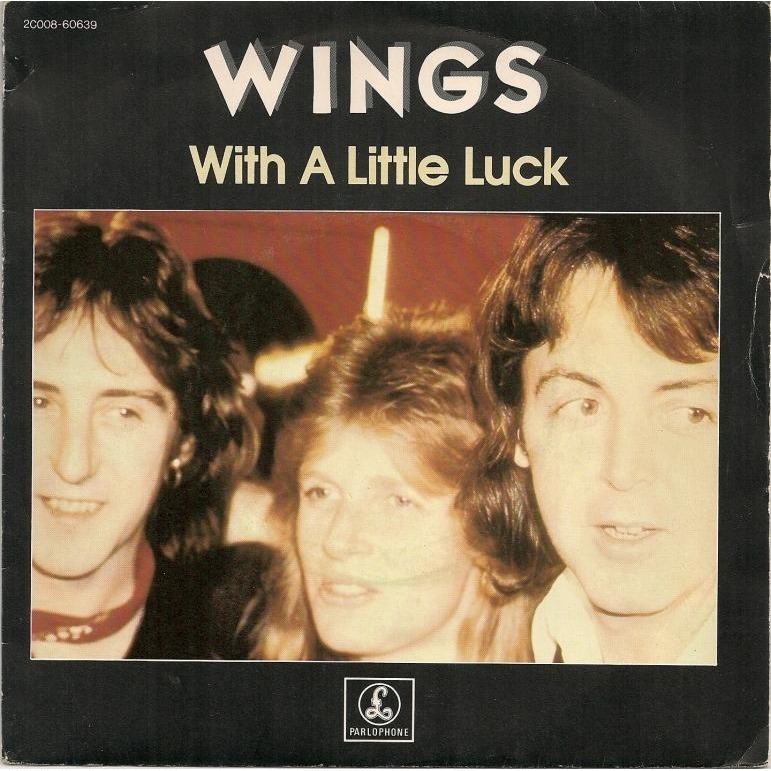 Songs from '78: "With a Little Luck"
Did I know who The Beatles were in 1978? I'm not sure. I have a vague recollection of having seen Yellow Submarine on television at some point as a child (I remember being frightened by it, but oddly it provided what later became one of my favorite Beatles songs), but I'm pretty sure it wouldn't be until I was into my teen-age years and more familiar with the pop music world I started imbibing early on that I could actually place who "Paul McCartney" was. And by then, of course, his band Wings was history. So really, listen to the whole thing, and think about McCartney's often unjustly maligned or forgotten triumphs of the 70s. This is a great, groovy, mellow love song, and who ever really gets tired of those? 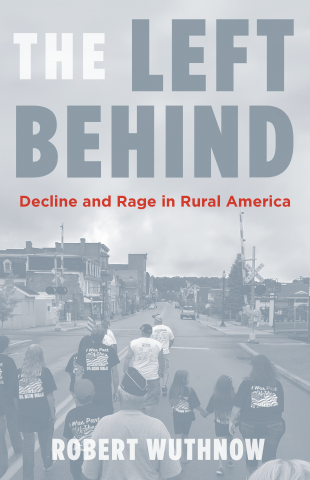 Robert Wuthnow's new book, The Left Behind: Decline and Rage in Rural America, is the best book I've read on the rural-urban divide in the United States in years. It may, in fact, be the best book I've ever read on the topic, and I've read a lot of them. That's not to say that Wuthnow's analysis of the socio-economic or demographic or cultural situation which faces that 20% (or less) of the American population which lives, broadly speaking, in "the country" as opposed to "the city" (or its suburbs, or its exurbs) is groundbreaking; on the contrary, most of his conclusions are simply careful elaborations of sociological data that he and others have addressed before. But in this short book, Wuthnow, a much-published sociologist who has long taught at Princeton University, demonstrates his strength as a listener and as a synthesizer of those things he and his many researchers have heard and learned over the years. It is 164 quick pages that every would-be pundit, or really everyone at all interested in the social divides which the election of Donald Trump made clear, ought to read. Illing's reaction is similar to that which has all-too-frequently emerge from the overwhelmingly urban scholars and activists which have found the urban-rural divide a cause for concern in America over the decades. It was on display in Thomas Frank's celebrated but blinkered What's the Matter with Kansas?--a book that Wuthnow gives qualified praise to, but also criticizes as having been guided by a thesis more relevant to blue-collar urban workers in conservative states rather than actual country people, a criticism that he extends to Arlie Hochschild's Strangers in Their Own Land as well (pp. 2-5, 137), and other displays of that same attitude can be found all the way back through the 20th century, to H.L. Mencken and others. The fact is, being able to speak sympathetically (but not defensively!) 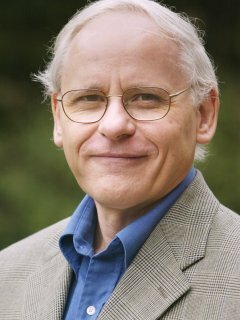 about those whose lives have been mostly excluded from the global urbanization which industrialization and finance capitalism has increasingly made the social baseline of the whole human race--in the American case, the 30 millions people who live in towns with a population of 25,000 or less--is just plain difficult. I think Wuthnow pulls it off, though, and that alone, completely aside from what can be learned from those whose voices he captures and interprets, makes The Left Behind a book worth reading with an open mind. Why is Wuthnow's ear so open to and respectful of what the hundreds of people that he and his graduate assistants have interviewed over the past ten years (an ongoing project that has resulted in a series of sometimes dense but always rewarding sociological and historical studies, including Remaking the Heartland, Red State Religion, and Small-Town America)? The easy answer, and probably the most accurate, is that he, unlike so many other of these commenters, has both personal memories of and an abiding, rueful fondness for the rural small-town world, particularly that version of it which emerged on the Great Plains, where he is originally from. A native Kansan, born in the 1940s, he has no illusions about the poverty and struggles which characterize those who inherited, like Laura Ingalls Wilder (whom he credits in Remaking the Heartland with having played a central role in updating the Jeffersonian vision of finding authenticity through "living in a region of farms and small towns"--Remaking, p. 69), the usually hopeless dream of achieving some kind of republican independence and self-sufficient agrarian virtue in such an unforgiving rural environment. Scattered through his books, you will find references to farmers he has known who have committed suicide, to young men who were desperate tried to hide the fact that they lived in dugouts without electricity or running water, to families who have fallen into division and anger--or fallen apart entirely--in the face of the pressures of working on a farm. Wuthnow does not sugar-coat the often circumscribed lives of those he has listened to so closely, nor has he listened to them uncritically. But neither has he dismissed out of hand the paradoxical complement to all of the above: that much, perhaps most, of America's rural population feels pride and even a degree of confidence in their choice of a farming vocation, in their embrace of small-town life, their connection to the land. And that paradox, that ambivalence, is one he is both fascinated by and, obviously, attracted to. What kind of freedom do these rural people mean? This is Wuthnow at his most insightful: rural America, he asserts, has constructed over the decades a communitarian attitude through which "a sense of boundedness," of actual spatial as well as conceptual identitarian and moral limits, affects how they view and find value in everything else (p. 43). This is not to say, in his view, that rural people are necessarily mired in racist nostalgia (though over 90% of rural Americans identify themselves as white Caucasians) or are psychological throwbacks to some independent, agrarian world (one of the most common laments which Wuthnow documents in The Left Behind is the absence in most small towns of the expertise needed to write successful federal grant applications, and in Remaking the Heartland, he shows in great detail how the people of western Kansas, far from being yeomen farmers on whom industrial agriculture was imposed against their will, had instead aggressively sought government contracts from the beginning, and had built corporations and co-ops to import Mexican workers to maximize profits from the sugar beet harvest long before IBP and its environmentally destructive meatpacking plants arrived). On the contrary, Wuthnow, on my reading at least, thinks there is no obvious reason to see the farmers and small-townspeople of the American countryside as any less subject to the individualizing impulses of modern life than anyone else. If we are to trust in his interviewing and research, it would seem that most rural schoolteachers want their students to pursue personal excellence and transcend their local environments (p. 61), and most rural residents seem to like big cities, appreciating their existence as the places their children and grandchild find work and where they can travel to enjoy amenities which they don't have in their financially strapped and culturally isolated small towns (p. 100). So it is probably not the case that the American countryside--obvious exceptions like Amish and Mennonite communities aside--harbors some non-liberal, non-individualistic, frugal and communal and pious perspective on freedom which the rest of America has lost. For the most part, it doesn't. But what it does have, instead, is actual, tangible, limits. In a small town (and for Wuthnow, and the people he interviewed, everything comes back to the small town; genuinely isolated country living, conducted without any regular contact with or participation in the some town or county seat or some other central place, is rare to the point of non-existent), there a boundedness to where one shops, where one works, where one sends one's children to school, and who one sees in all of those places. While the history of rural places, particularly on the Great Plains, is actually filled with upheavals and frequent relocations, the small size of these places, and their distance from other, larger places, has inculcated a strong emphasis on the familiar among those who live there. (Elsewhere, Wuthnow had observed that since "a small town seldom covers more than a few square miles....residents not only live in close proximity to one another but also share a common visual horizon....It is a circumscribed space with a name and an identity"--Small-Town America, pp. 52-53.) Again and again, in these interviews, the attachment rural and small-town people have to their places is expressed in terms of their attachment to this church, this festival, this cohort of friends (and enemies), this stretch of road, this celebrated event, this historical grievance, this smell, this pastoral scene. Their fear, Wuthnow thinks, is primarily one of losing connection to that particularity, that almost literally spatial positioning within a universe bounded by fields and forests and roads that lead into the distance and the people who farm and lumber and drive upon them. This collective emphasis upon routines, repetitiveness, and "co-presence" (Wuthnow quotes sociologist Randall Collins on this point--p. 39), is, of course, a famous source of angst and rebellion, one which has provided a narrative for artistic escape for hundreds of years. Generally speaking, those people who want to leave, and can leave, do. After all, being in one's own place, owning one's own particularity and one's own network of relationships and stable references, is exactly what those who long to breathe city air (remember: "die Stadtluft macht frei"!) often want to get away from, and the tension which that repetitiveness, that familial weight, brings into the lives of otherwise mostly modernized, mostly connected American individuals is a perfect recipe for an inferiority complex (one that, please note, Wuthnow observes rural people regularly acknowledging). But for all those cross-feelings, there are those who remain. And it is they who find instead themselves, willingly or otherwise--and many small-town residents, Wuthnow emphasizes, initially were definitely otherwise--taking solace in, and in turn contributing to, a moral conception of community that, above all, prizes the "the shared notion that what the community represents is right" (p. 78). Freedom to act is treasured--but the actions which are worth treasuring are those which arise from the bounded context one inherited and knows. Such communitarian convictions can and do arise in any lived environment, of course--urban neighborhoods and suburbs as well as farming villages. The difference, though, is that the former two are seem by many rural dwellers as inextricably connected to the speed, bigness, and changeableness which characterizes modern urban life. And all those things--bigness, and the variety and unpredictability and factionalism which it accommodates--undermine the conceit widely shared in small farming towns: the idea that their town is a particular kind of moral community, within the bounds of which one can safely assume that everyone, whether rich or poor or (most commonly) just cobbling together a lower middle-class life, was connected together, that "everyone was the same" (p. 100). 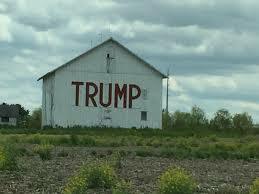 Do rural people know this conceit, like any social conceit, when one looks at it closely, isn't actually true? Of course they do; Wuthnow shows repeatedly that unavoidable deviations from the white Christian heterosexual conservative norm are recognized, and often--not always, perhaps not even usually, but often--tolerated. (Many interviews suggest that actual farmers, as opposed to those who are part of the service economy around them, are "far more informed than the average town-person in this regard"--p. 102.) But it is a conceit that makes possible a particular conception of freedom, authenticity, and community, all of which have both deep historical roots and real theoretical and moral value. And so it is in their collective self-interest to hold to it--with the result that often even the most self-critical small-town people feel a deep resistance to anything which threatens their bounded, routinized environment. Which then becomes self-reinforcing...and, as Wuthnow concludes, "you do not question what you do not see." The fact that many rural people either literally do not see (because of their circumscribed environment) or otherwise are inclined to deny the local challenge of (because of their moral attachment to the rewards and virtues that their place has provided them with) that which is foreign to their bounded world--and in most small rural towns in America, that usually means non-whites, sexual minorities, intellectuals, liberals, religious dissidents, and non-Christians--has a predictable result: when small-town people learn (accurately or otherwise) that the federal government is favoring the interests of "people who live in cities and don't look like you," it is easy to believe (p. 161). The result is an unreflective anti-urban and anti-diversity bigotry which is hard to name as such, because it begins not with a personal animosity towards different person, but with challenge to the supposedly self-sufficient and always longed-for boundaries and expectations of the rural world. That's not an excuse for such; Wuthnow is pretty explicit in pointing our how paranoid and pointless (and, unfortunately, predictable) most of the confused frustration he documented was. But it is an explanation, and that's a crucial first step. Unlike many, Wuthnow grants the legitimacy--if not the accuracy--of those explanations. He recognizes the appeal of that sense of stability and boundedness, that social entrenchment in the land--after all, for a great many rural residents, it is a moral order that works. As such someone who left that ordered environment world but still recognizes its relevance, he has hope that that the gap between those who leave and those who are left behind can be bridged. (Don't forget that there is plenty which those whose life was shaped by urban or suburban realities either don't see or tend to deny about the land whose bounty they survive off of as well.) True, he suspects the political polarization which has been mapped onto the rural-urban divide has taken such deep roots that is it ridiculous to hope for a cultural breakdown which could change things overnight (he baldly comments that "the chances of Democrats winning local elections in counties that have been Republican for generations are nil," which, actually, is more than I would say--p. 164). Equally ridiculous, one must conclude after reading Wuthnow's many writings on America's rural world, is to have any hope for some radical re-examination of how we have socially and economically thought about the landed resources at the heart of so many of America's small towns. Wuthnow is a good, conventional, Hillary Clinton-supporting Eastern academic; he doesn't appear to think much of the Populists (not any more than most of the farmers he interviewed did), accepts the arrival of agribusiness and school consolidation as necessary to the survival into the 21st century of those few rural, small-town environments which still endure, and the idea of him even asking farmers about agrarian, socialist, or distributist alternatives to their work, much less pushing them to hope for such, is plain silly. I think that's unfortunate, myself (Wuthnow's analysis of his interviewees' comments, in my view, would have been much improved by the selective use of some Marxist categories). But that does not mean we can't learn what he clearly regards as the most important lesson of his research: that the people who long for the small-town life, who are willing to remain behind on the farm or nearby it, really want that life to endure. Throughout the history of rural America, Wuthnow makes clear, you have seen old patterns give way, and local elites accept a change necessary for their town's survival (even if they never truly own up to the political backtracking and revising of self-conceits which accepting such changes always entails). The constant snort from actual (or, often, just self-styling) rural folk about how the political class in Washington D.C. lacks "common sense" is, I suspect, wearying to all the metropolitans and philosophical liberals who read this (which is, I suspect, just about everyone, whether we came from rural environments or not). But whether the federal government has such common sense or not, the evidence is that rural America does. When faced with their own local imperatives, "adapting to new conditions" (p. 164) is what they have always done. In actual fact, America's small towns and farms no longer--if they ever did--pose that strong of an alternative to an individualized, capitalized, metropolitan nation. But so long as there is some way for those who love those places to hold onto their bounded horizons--even if it means learning to write that next federal grant, or hoping to catch some of that next wave of immigrants, or continuing to push for the expansion of Medicare--the historical evidence is that they'll do so, or at least eventually come around to supporting those who will do so. That doesn't answer any questions about the long-term future of agriculture, health care, immigration, or the Constitution itself, of course, much less how any one political party can effectively build connections across the rural-urban divide so as to address any of the above. The basic social, economic, and political conditions of our mostly urbanized polity--of which rural America nonetheless remains an enduring part--need serious, perhaps radical, critique and change. But in the meantime, Wuthnow reminds us, that however slow the small towns of rural America may appear to act, or however stubbornly they tend to vote, they really are, and should be accepted as, a legitimate part of the national conversation, one that can make a case for itself on its own terms. They may not be the terms that more than 80% of us would choose given the chance--but they are terms which reflect a worthy perspective nonetheless. 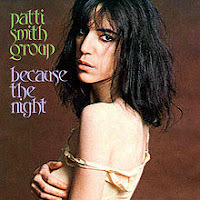 Songs from '78: "Because the Night"
Forty years and one week ago, the Patti Smith Group's groundbreaking rock-punk-folk album Easter began its march into the pop charts, led by its best song "Because the Night." I didn't hear it on the radio--at least, not then. The songs of 1978 which got stuck in my head in my tenth year were rock songs, to be sure, and as I've noted already, the influence of punk is clear in how it was undermining the progressive rock sensibility of the day and cross-pollinating with all sorts of rock and roll spin-offs, including disco and hard rock. But my gateway drug, an old Spokane, WA, AM radio station named KJRB which at the time was all pop and rock, didn't play Smith (or The Ramones for that matter). Still, I heard it eventually, I'm not sure when--and when I did, I suspect I knew exactly the moment it was a part of. It's a strangely, angrily beautiful song, actually; a Bruce Springsteen composition (don't worry, he's going to show up later--as will The Ramones, for that matter) that he knew he couldn't sing right. His producer gave it to Smith--whose group was recording in the studio next door--and she reworked it and stuck it on her new album. The rest is history. Thanks Bruce! The past few years have been good ones for bicycling in Wichita. Thanks to the efforts of many good people over a long period of time, several long-developed and much-improved bike paths, trails, lanes, and shared boulevards have been introduced: beginning with downtown lanes along 1st and 2nd Street, there is the Redbud Trail, Prairie Sunset, Chisholm Creek Park, and over on the west side of the city where I live, the Woodchuck Bicycle Boulevard, have all followed. 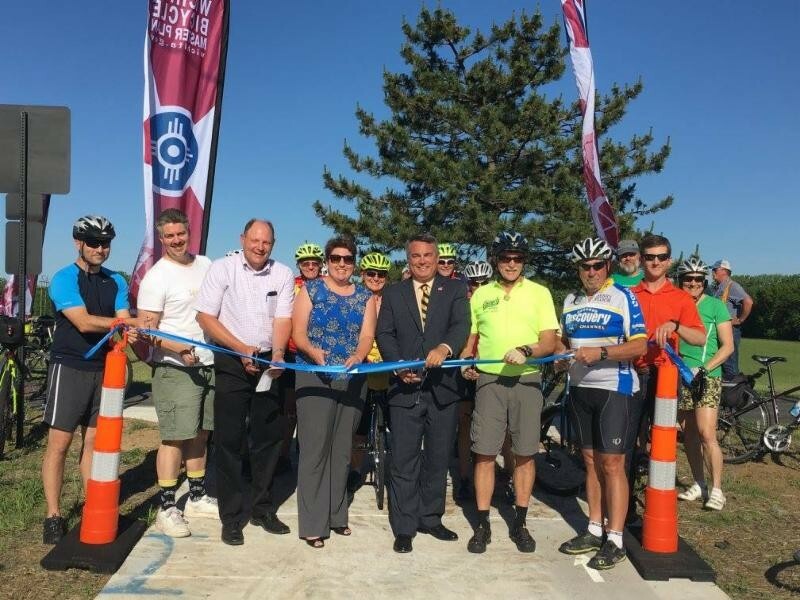 (That's me at the ribbon-cutting ceremony for the Woodchuck, in the green shorts second from the left; being a member of Wichita's Bicycle-Pedestrian Advisory Board has its privileges, I guess.) More bikeway and path projects are on the way. It's great to see so much of this slow-yet-steady development coming to fruition, and it's even better knowing the multiple other bicycling projects--re-purposing an old railroad bridge to get through the I-235/US-54 interchange, which otherwise blocks almost all north-south bicycle and pedestrian traffic on the west side of the city, is the big one, but there are many others--are slowly moving forward as well. We're not fooling ourselves, of course; Wichita--like so many other Midwestern, Southern, and Great Plains cities--is profoundly automobile-centric. While there are a multitude of ways to measure such relatively underreported matters as bicycle commuting and other alternative transportation choices, a recent study by the U.S. Census, the American Community Survey which was completed five years ago, showed Wichita as having increased its number of bicycle commuters over the previous decade…from .2% of the workforce, to a whopping .3%. While bike and pedestrian counts, as well as anecdotal observations, point to continued recent increases in bicycle commuting in Wichita (the League of American Bicyclists pegged us at .5% in 2016), still, the facts are pretty stark. Attempting to find political support and funding and public spaces which can provide actual, practical logistical possibilities for bicycle-friendly developments in light of those realities is a humbling prospect. Still, we do our best. 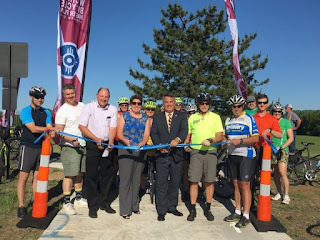 The turnout for ribbon-cutting events and other announcements of improvements and openings have been impressive, and it's always great to see large numbers of colorfully decked-out, serious cyclists heading out on these paths, calling attention to every step the city takes forward. I always have a pretty good view of those packs of cyclists as they head down these paths--because I'm hardly ever part of them, or ever on any of these paths, myself. Why not? Part of the reason--the main part, really--is, again, simply logistical. The bare-bones network of bike trails, lanes, and boulevards that Wichita has been able to slowly knit together over the years doesn't provide me with anything like a direct route to where I usually need to go--whether to work or running errands around the part of the city where we live. But another part of the reason is simply a function of how I understand myself as a cyclist. While I still idly dream of someday getting my physical act together--as so many of my friends have--and actually doing some real riding (a century ride, perhaps, or even Bike Across Kansas), the fact is I own no bicycling gear (save my helmet, which itself is an old one that I've duct-taped together), and have never toured. I'm an urban commuter cyclist, and always have been--which means I always ride on the road. True, by taking to the public streets rather than adjusting my route to take advantage of the bike paths I and so many others have pushed for over the years, I suppose I'm making it one person easier for cynics and cranks to complain that they never see anyone making use of these paths, so how can the city council possibly justify putting a single additional financial drop in the city's (otherwise resoundingly empty) bicycle bucket? But by being out on the streets, I see my presence as contributing to a different kind of impression. If you live in a place which, for any number of mutually reinforcing socio-economic or political reasons, has a culture shaped at least in part by broad concerns with health, the environment, and sustainability, then the presence of MAMILs ("Middle-Aged Men In Lycra") all over parks and bikeways, getting their exercise and traveling wherever they need to go, is to be expected. But absent that culture, when you're building whatever sort of bike-friendly resources you can a little at a time, such individuals greatly stand out--and to the extent that they pour themselves into maximizing the use of distinct bike paths and trails, they still stand out, but perhaps also stand out as something distant and separate. But the cyclist who is dressed pretty much just like you, whose bike is right beside your car at the intersection, just one lane over: that's a difference which is not separate, but is readily and immediately present. The public nature of such cycling arguably invites a sort of democratic reflection and richness which may not be available in other ways. That's not to say that there isn't good reason to harness the democratic support of a dedicated cycling elite to push forward changes in public spaces that add to the overall ambiance of life in the city. (A city without any bike paths whatsoever is far less likely to recognize the benefits which encouraging cycling can bring than one with bike paths whose use is greatly limited--which is basically true of pretty much every public amenity imaginable.) It's just that, as I make practical decisions about my regular biking routines, I've had more than enough experiences to convince me that, in a small way, getting out on Central or Maple Avenue is shaping Wichita's democratic culture a little as well. Of course, the most recent experience I had with that shaping was someone shouting curses from their car window at me. But surely, that at least means someone was paying attention to their lived environment rather than their phone, right? It seems to me that, when it comes to matters of city structure, you have to think about short-term goals and long-term change simultaneously. In the long run, someone who gets annoyed that he has to deal with some guy on a bicycle cutting him off as we negotiate road construction together could well turn into a someone who will carry that annoyance into opposing any kind of alternative transportation development, and into voting down any such funding options he can. But then again, he could also become someone who at least is conscious of the fact that bicycle commuting is a choice some people make. In a city like Wichita, honestly, that may be half the battle right there.